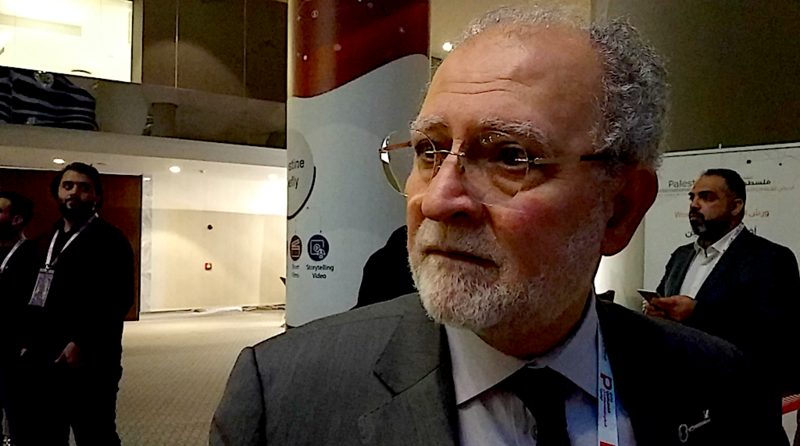 “Trump is trying to cover up the issue of Jamal Khashoggi’s murder because he hates to see his friend Muhammad bin Salman go down”, said Azzam Tamimi in an exclusive interview with BeyondHeadlines. British Palestinian academician, Dr. Azzam Tamimi is a close friend of Jamal Khashoggi. Currently, he is the Board Chairman at AL HIYAWAR TV. According to Tamimi, Trump might be saving his friend bin Salman but American media is doing a great job in this case. Media houses such as Washington Post, New York Times and CNN are exposing every detail and facts of the case. “I have no doubt in my mind that Muhammad bin Salman ordered Khashoggi’s killing”, he added. He also said that it’s very dangerous that a government lure a journalist into the consulate and keep lying about it and eventually admit that they killed him. “I think the media and the friends of Jamal Khashoggi will continue their activities because this issue has to remain alive”, told Tamimi to BeyondHeadlines. This interview of Tamimi with BeyondHeadlines took place in Istanbul in a Conference organised by Palestine international forum for media and communication. In a panel discussion of this Conference, Jamal Khashoggi was supposed to speak on ‘Developing the Global Media Discourse on Palestine’. But now his friend Tamimi was asked to give a presentation on Khashoggi’s behalf. In this panel discussion, Siddharth Vardarajan from India was also invited to speak but since he could not come, Urmilesh Singh joined the panel. Jamal Khashoggi, before his murder was with Tamimi on 1st October in London. He went to attend a programme organised by Middle East Monitor on Palestine. Tamimi still remember that day and feels sad that Khashoggi could not appear to his show for AL HIYAWAR TV. Jamal Khashoggi was a well-known journalist and critic of the Saudi government. According to the sources, he was killed inside the Saudi Consulate in Istanbul on 2nd October. He visited the Consulate to obtain a document which was required to marry his Turkish fiancee, Hatice Cengiz. On Tuesday, 20th November, Trump made a statement that it will remain a steadfast partner with Kingdom despite knowing that Saudi Prince might have killed Khashoggi. Trump said,” (it) could very well be that the Crown Prince had knowledge of this tragic event – maybe he did and maybe he didn’t!”. Earlier, Trump had caught the attention of international media by warning the Saudi Arabia of dangerous results if the Kingdom was involved in Khashoggi’s murder. He threatened sanctions against Saudi Arabia over the missing Saudi journalist.